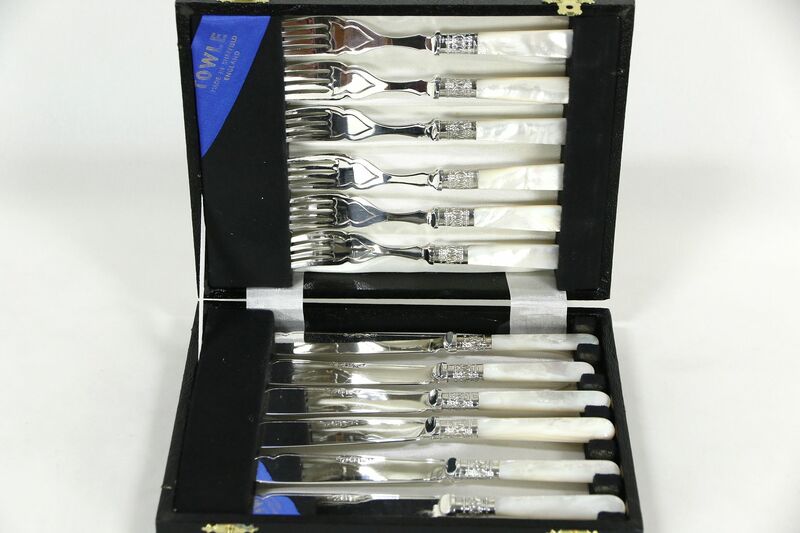 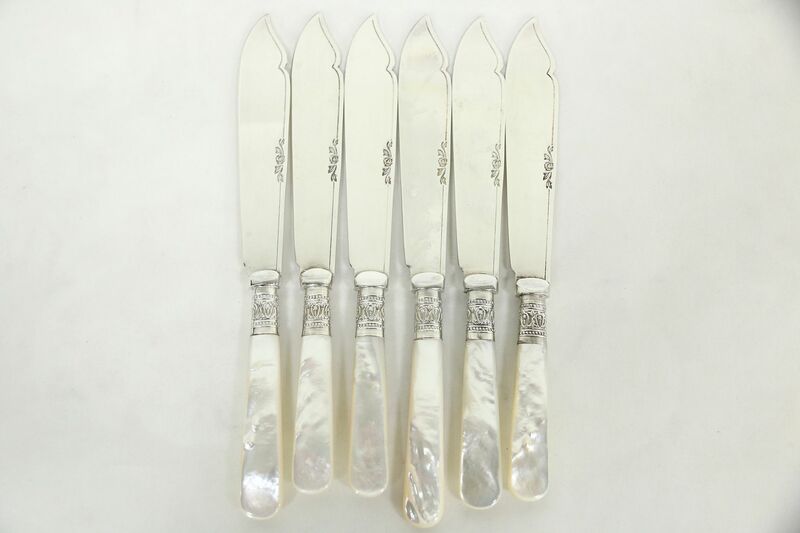 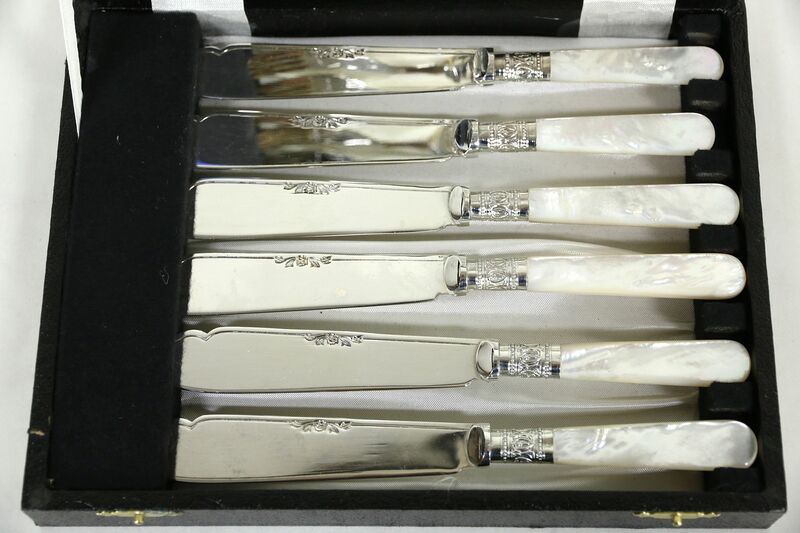 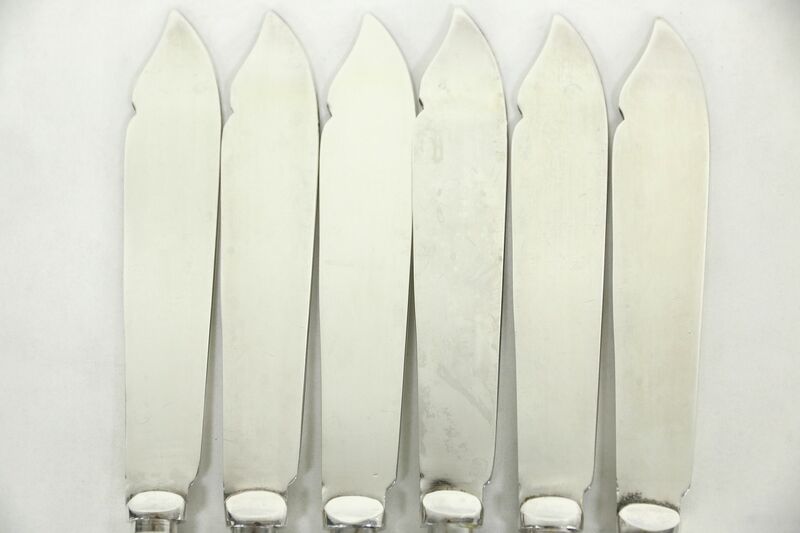 An elegant boxed set of six silverplate and mother of pearl knives and six forks is signed "Towle, Made in Sheffield, England." 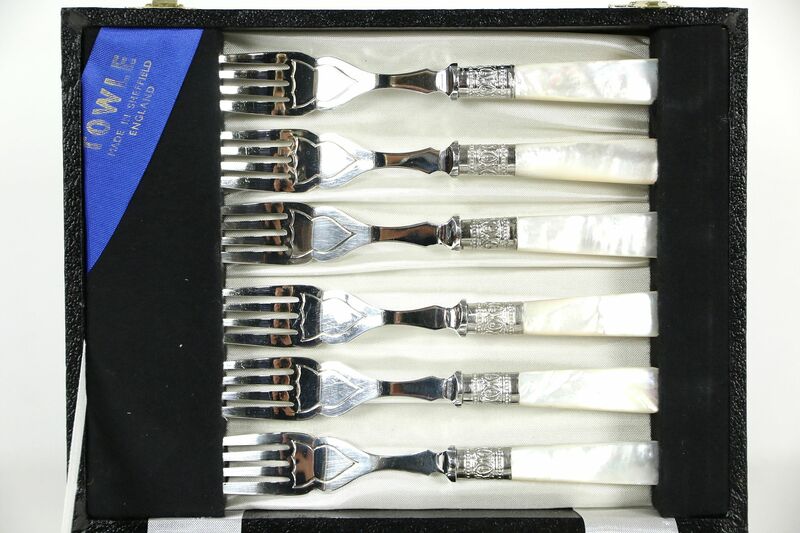 This fish, lunch or travel silverware does not appear to have been used, and is about 40 years old. 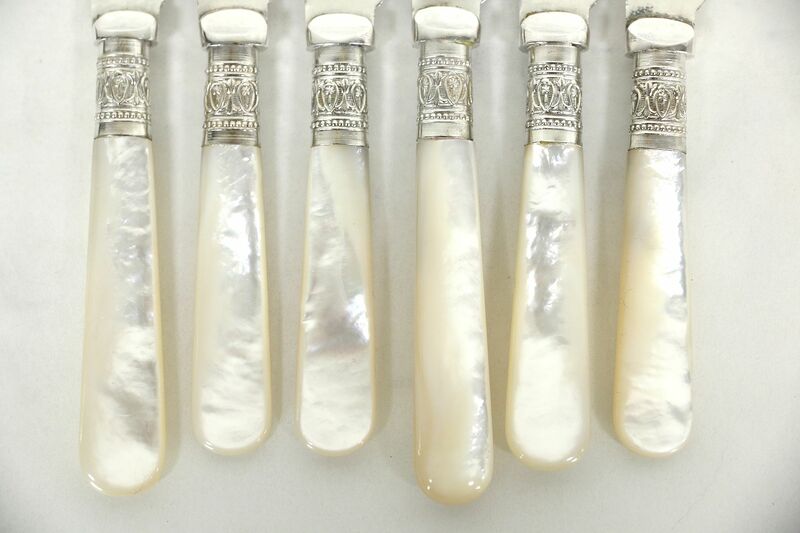 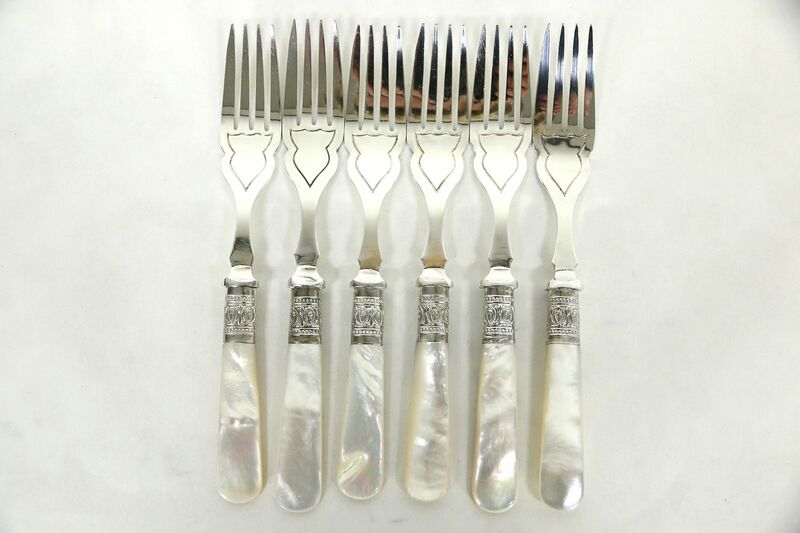 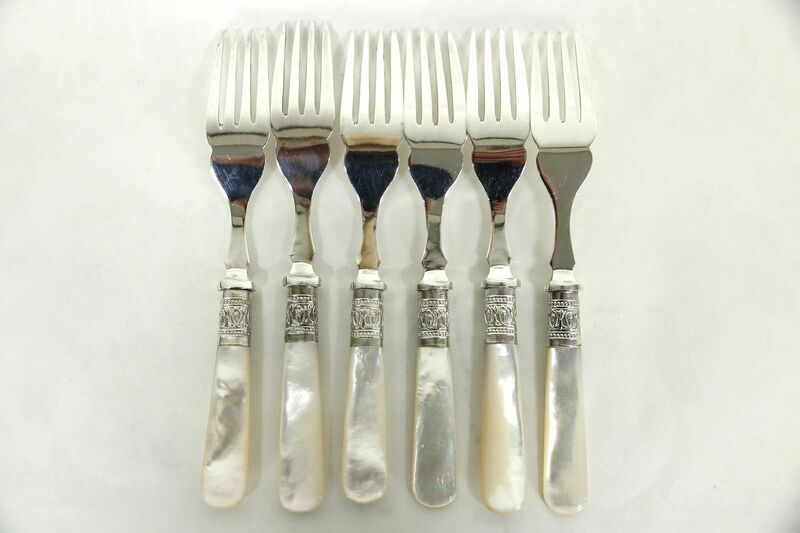 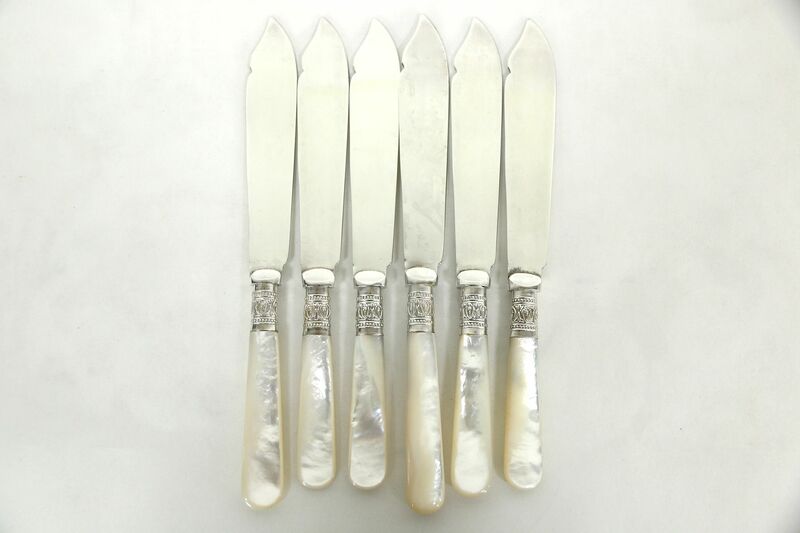 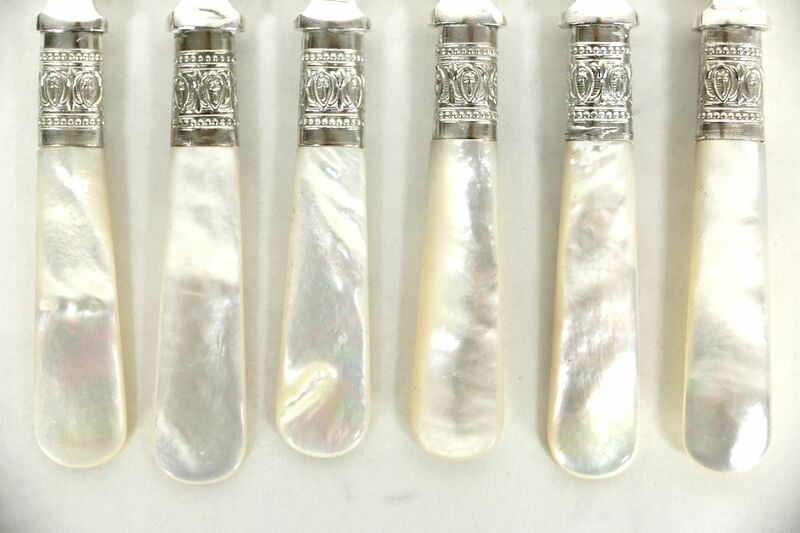 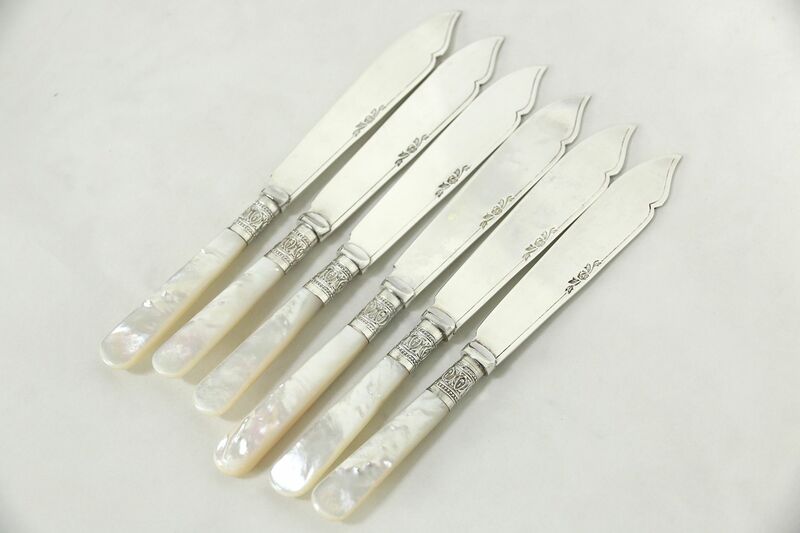 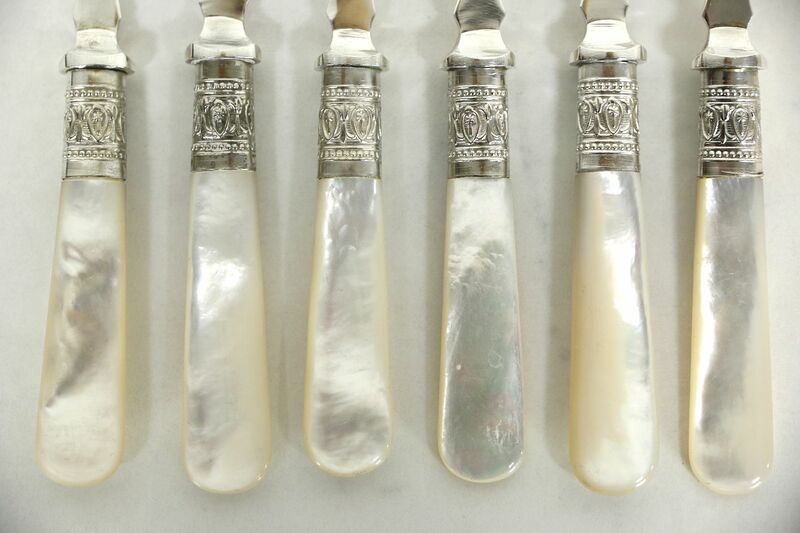 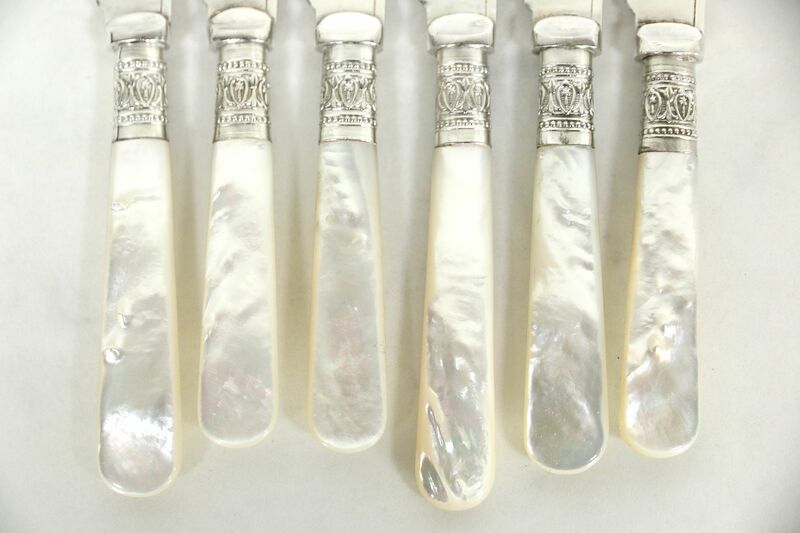 The hand carved genuine pearl handles vary slightly in shape on this lovely flatware. 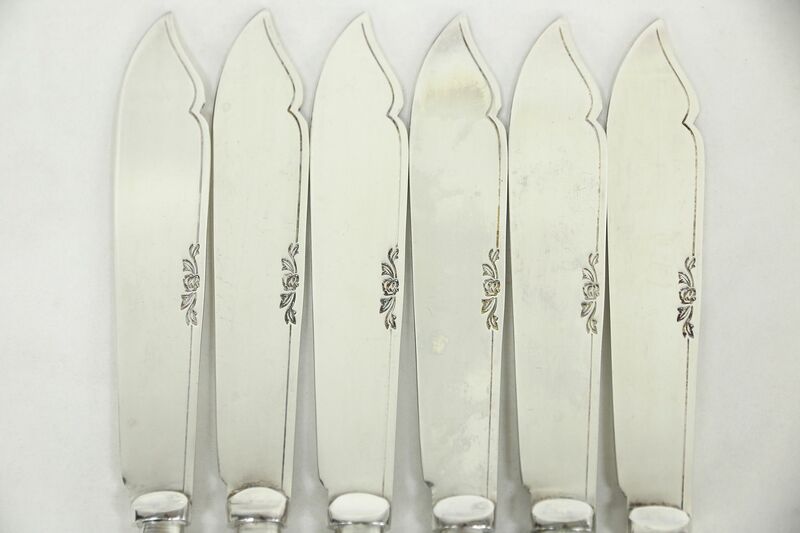 Blades and tines have subtle traditional engraving, shanks are embossed. 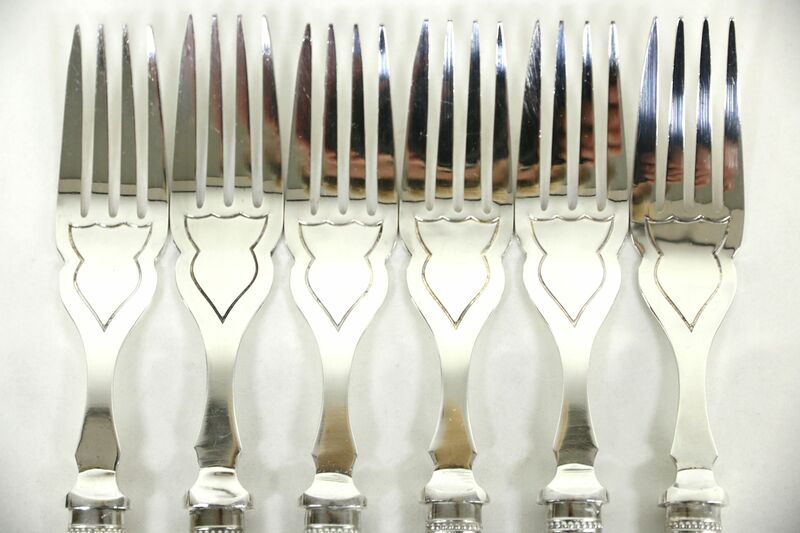 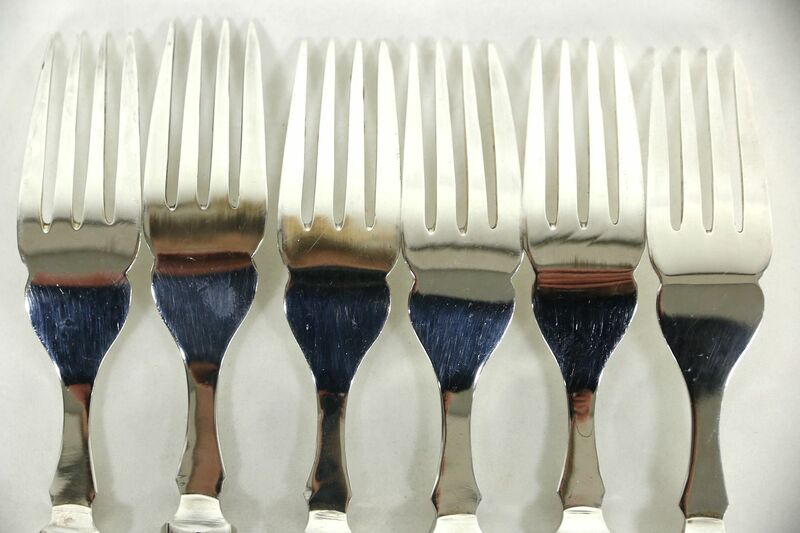 Knives are just over 8" long and forks just over 6 1/2." 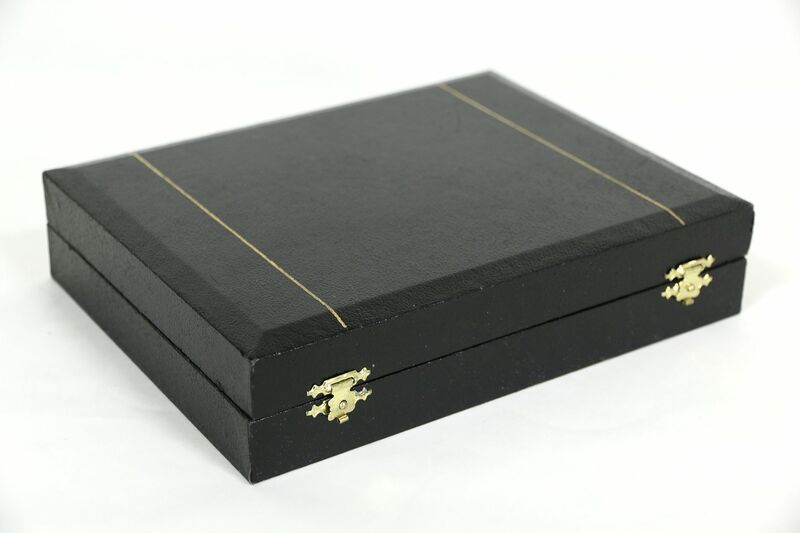 Please view 18 photos at full screen size for best detail. 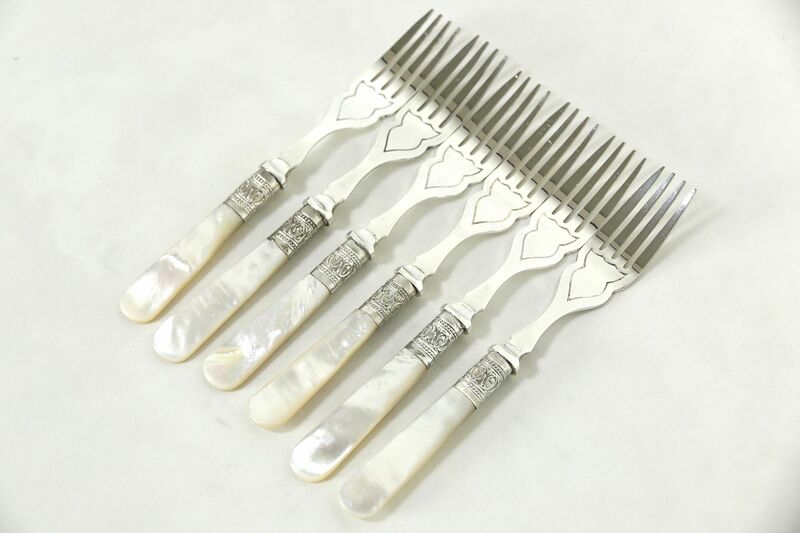 Additional sets sold separately, contact us for availability.